A piece of wood, which keeps things organized? 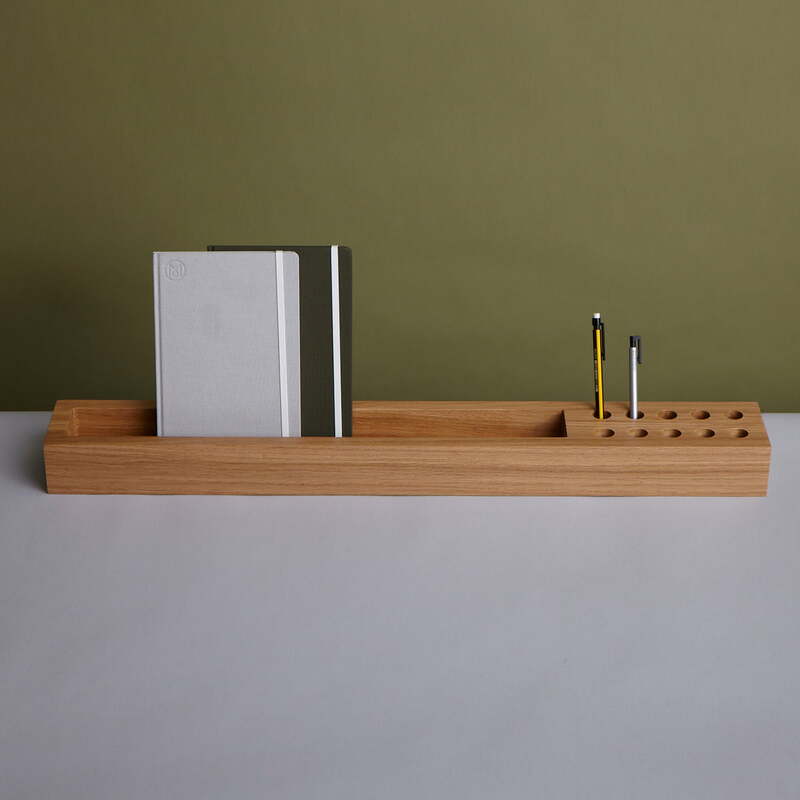 The Hansen Family presents a writing desk tray in a minimalistic design: The Remix Log. Gesa Hansen designed the Remix Log for her label The Hansen Family. 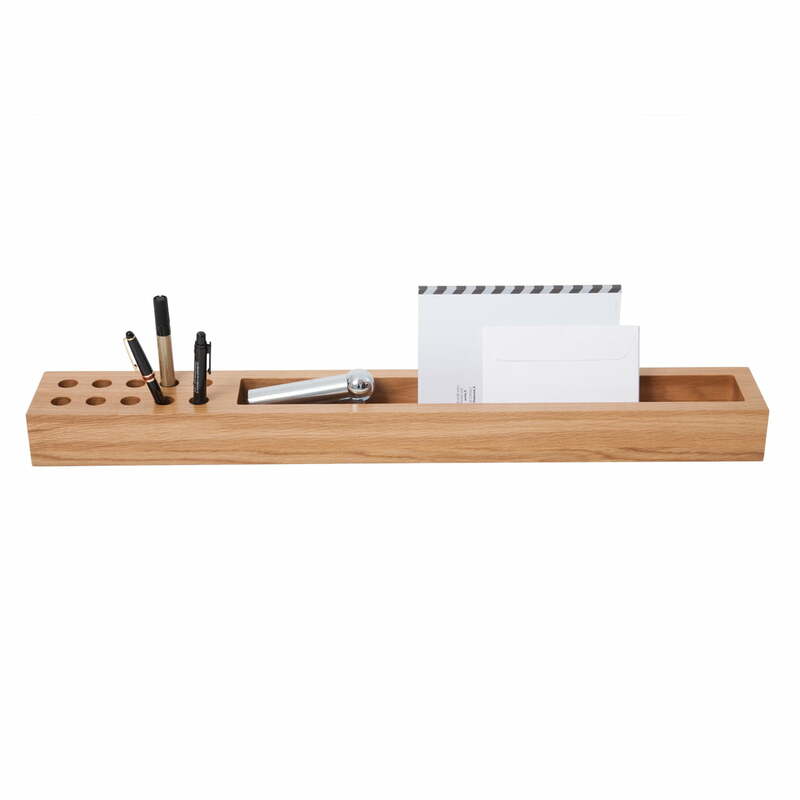 The organizer offers a big compartment for notices, memos, paper-clips and other things that would otherwise lie all over the desk. Ten small compartments for pens also organize the rest. The Hansen Family produces the Remix Log out of massive oak wood. The desk tray proves that reduced design is able to organize all kinds of utensils.